The state of Montana is three times as big in land mass size than the UK. Yet Montana has a population size of 1 million human inhabitants and the UK has a population of 64 million people. This is part of the reason people move ‘West’ in the USA – to get away from people. Colleagues and friends who I have met here love the quiet, slow and tranquil way of life. When hiking if you see another person, the trail is considered busy and irritating. Whereas, in the UK it is extremely unlikely to go for a walk and not see another person for miles on end. There is a phenomenal amount of space here. I still can not quite picture or imagine the enormity of it. 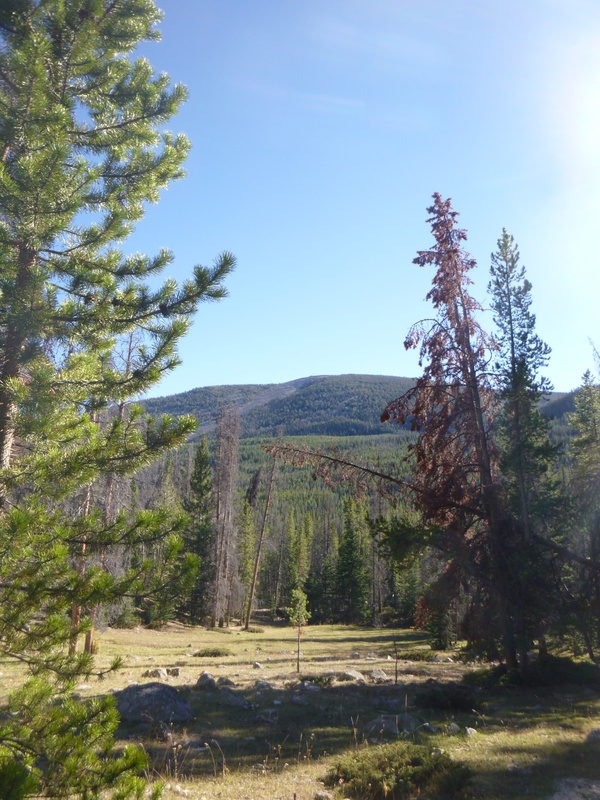 Where I am working, (Beaverhead – Deerlodge region) the forest land is 100 miles times 100 miles. To get to our work site we sometimes drive for hours on end. Some of the forest is used for timbre harvest, some grazing, other parts recreation, while a lot is pure wilderness. In the office there is only one permanent hydrologist and one permanent botanist for the entire forest. Therefore, it is of utmost importance to prioritises certain projects over others as there is not enough budget or time for the entire system to be worked on. Only some hydrological systems can be analysed and restored and only select areas can have plant monitoring carried out. Part of the challenge is selecting these areas. 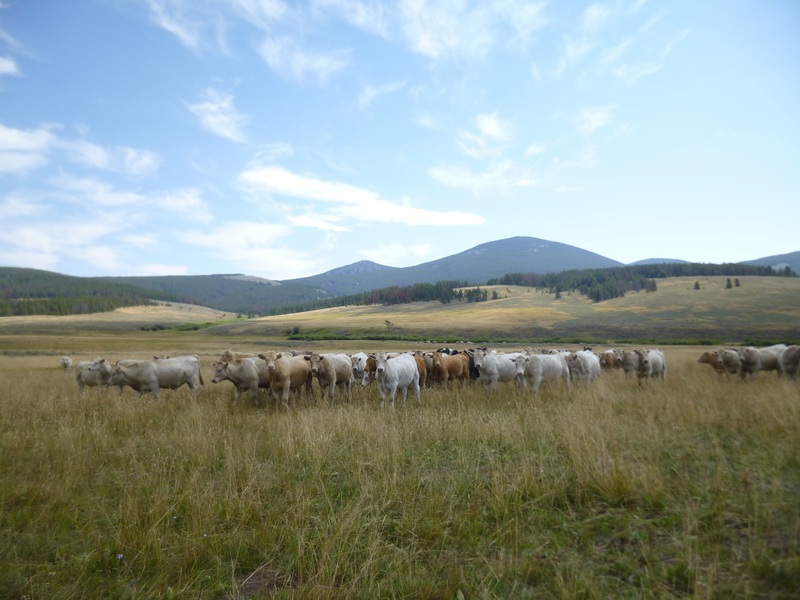 Most areas focused on have been severely affected by grazing and so the aim is to manage grazing regimes in order to have the least impact on the land. However, goals for the government are not always to environmentally protect the forest but are more often than not to make a profit on it. Funding for the forest service comes from timbre harvest and grazing profits. So working as an environmentalist can prove to be hard because money is needed but so is restriction of these things which provide funding. It appears to be a double edged sword. Not only is the state of Montana vast but it also is home to more cows than people. Needless to say, Montana’s biggest industry is agriculture generating $4.2 billion in 2012. Consequently, to remove all grazing rights on the forest would be detrimental to the economy. While Dillon Montana, is devoid of the busy, stressful hustle and bustle of city life it is not without its problems such as these. This said, I completely understand why people move to Montana. It is home to dramatic, mountains which not only look stunning in all manners of weather but provide hiking, biking, beautiful drives and snow sports. Wildlife surrounds you here, with chipmunks scurrying around in your garden; elk, deer, moose and antelope freely trotting along the sides of roads. And further into the forest, bears, coyotes and wolves roam around. The birds are always chirping, nature seems to run its course. The vegetation is phenomenal, the sheer number of lodge pole pines making up the forest look a site, while the refreshing smell of the sage brush is so distinct. As fall is approaching, the willow trees are turning bright yellow creating a stunning contrast in the forest. The fresh country air, sunny days and gorgeous scenery all add to the magic of Montana.